Groundswell’s journey started as a campaigning project as part of the National Homeless Alliance back in 1996. Our aim was (and still is) to support homeless people, so that they can be at the heart of creating and delivering solutions to homelessness. We ran a series of events such as the legendary Self Help Forums in Sheffield, to bring together homeless people from all around the UK who were all using their experiences of homelessness to make positive social change. 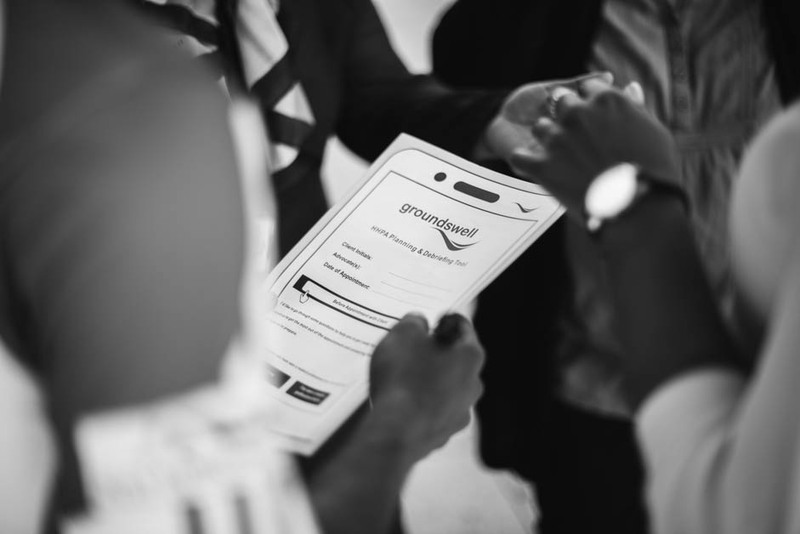 Groundswell was instrumental in developing the Speakout model – an event bringing homeless people into direct dialogue with policymakers to inform and influence policy at local, regional and national level. Groundswell facilitated hundreds of Speakouts around the UK including National Super Speakouts. We got the Speakout listed in the guidance of the 2002 Housing Act as one of the recommended techniques for consulting with homeless people. We ran the Grant Award Scheme for 12 years – giving over £250,000 to more than 500 homeless-led self-help groups. This gave people the resources and support to “do it yourself” and create their own solutions to homelessness. In 2003 we began developing our peer research, involving homeless people in all aspects of the research process. We went on to involve hundreds of homeless people in their Local Authority Homelessness Strategies across England. A key finding of our research was uncovering that physical health was a bigger priority for homeless people than many services acknowledged. This led us to develop Homeless Health Peer Advocacy in 2010, a programme empowering volunteers to help homeless people address their health needs by accompanying them to appointments. At Groundswell, in 2016 we had our 20th birthday and in the same year our Homeless Health Peer Advocacy Service won the GSK Kings Fund Impact Award. We are working hard to bring our evidence based approach to tackling homeless health inequalities to other parts of the UK by working with local partners. We continue to develop innovative ways to enable homeless people to be involved in tackling homelessness – for the benefit of the whole community.